In a statement released online, ISIS claimed responsibility for the suicide bombing at St. Mark’s Coptic Orthodox Cathedral in Cairo that killed 24 people and injured 49. In the statement, ISIS said that the attack was carried out by an individual whose alias, or nom de guerre, is Abu Abdallah El-Masri. In stating out its reasoning, ISIS said “the war on polytheism will continue…until there is no sedition and until the religion, all of it, is for Allah.” The statement called the victims, who were mostly women aged between 18 and 70, “crusaders”. The statement neither confirmed nor denied that this is the same person Egypt’s President Abdel Fattah Al-Sisi announced as the attacker. 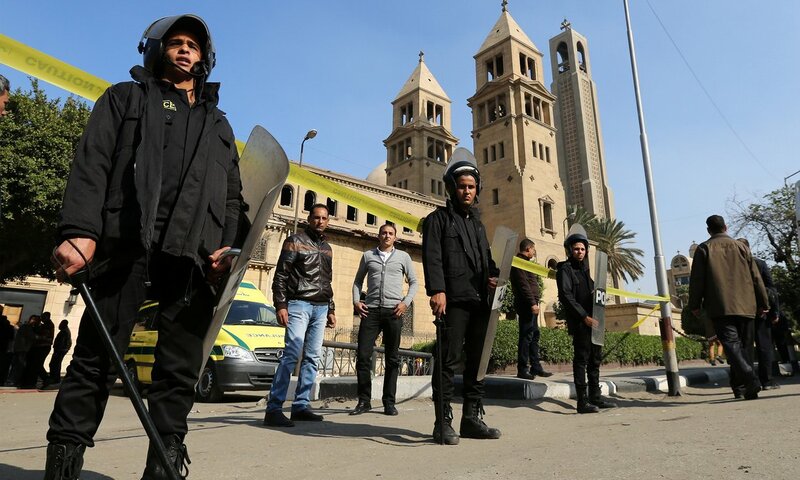 After the funeral service on Monday, President Sisi declared that the Cairo Cathedral terrorist attack was carried out by 22-year-old Mahmoud Shafik Mohamed Mostafa. However, the claim is consistent with the Ministry of Interior’s announcement that a terrorist cell affiliated to the IS in North Sinai carried out the attack. Ansar Bait Al-Maqdis has been affiliated to ISIS and its leader Abu Bakr Al-Baghdadi since November 2014.